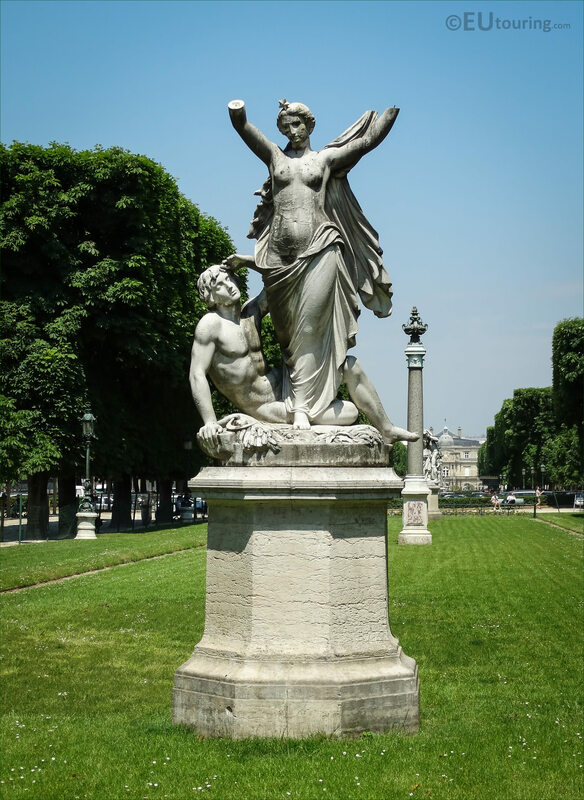 Again we were within the Jardin Marco Polo of the Jardin des Grands Explorateurs, and we took these high definition photos showing the statue called l'Aurore, or The Dawn, which was sculpted by Francois Jouffrey. 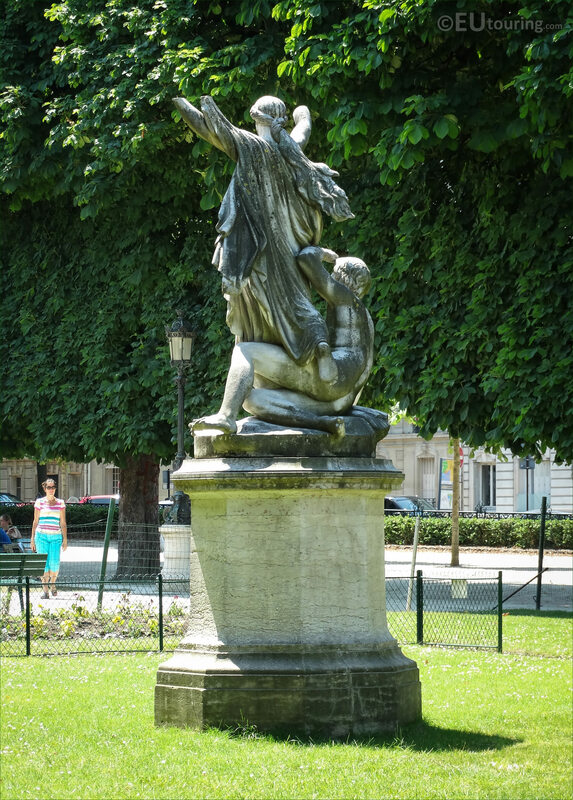 This first HD photo shows the statue of l'Aurore, which in English translates to The Dawn, and this is one of four statues depicting the times of day, but the others are called The Day, The Twilight, and The Night and were sculpted specifically for the gardens that were only formed in the late 1860s. 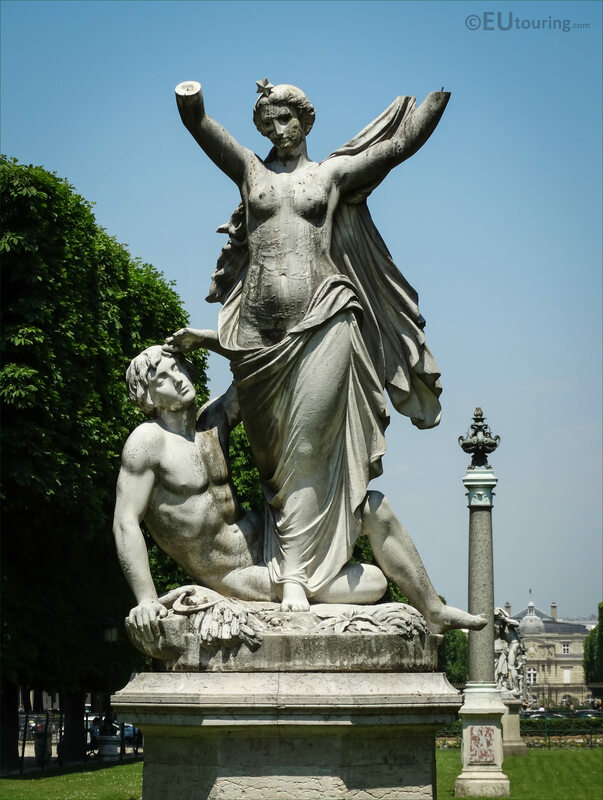 So this particular statue of The Dawn is located within the Jardin Marco Polo, which is one of the two gardens within the Jardin des Grands Explorateurs, and this is an annex to the famous tourist attraction of the Luxembourg Gardens, that runs along the Avenue de l'Observatoire. 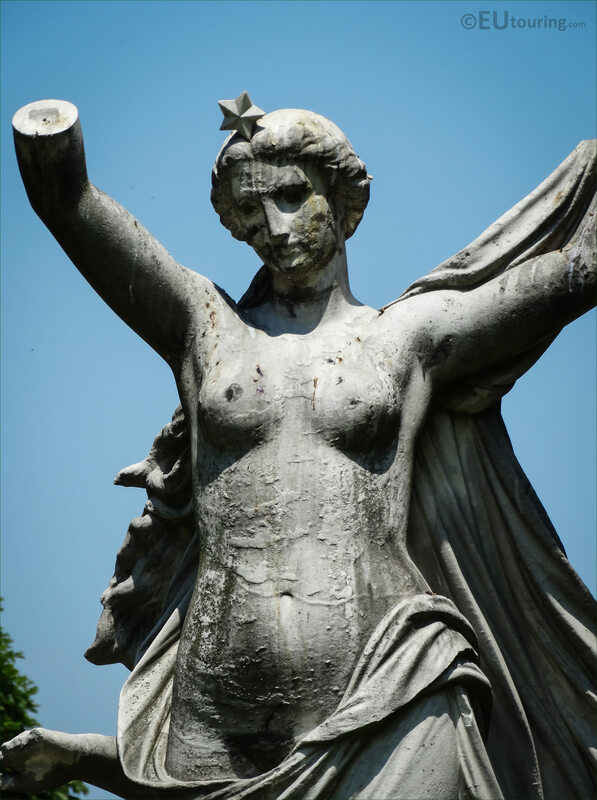 It is a real shame that the wrists and hands of the woman portrayed in this statue of l'Aurore were missing when we took this high definition photograph, because the left hand would originally have been holding the cloth, and the right arm was stretched up over her head. 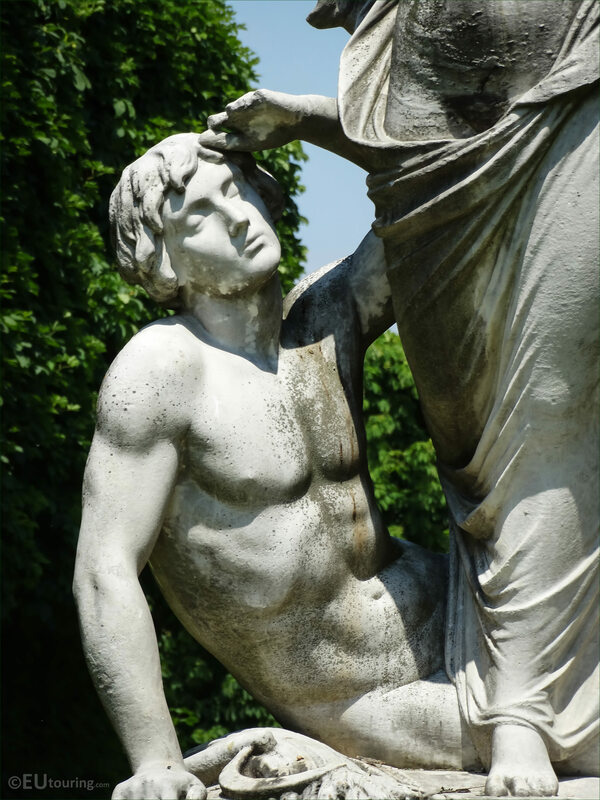 You will find that all four statues have the same theme of a man and women, yet they were actually all sculpted by different artists, and in this close up image you can see the man, and being an allegory statue of Dawn, it appears that he is just waking up. Yet this next close up image shows the woman portrayed as though she has just got up and stretching looking down towards the man, and you can see how time has taken its toll on the statue, which is probably why unfortunately she has lost the rest of her arm and hand. 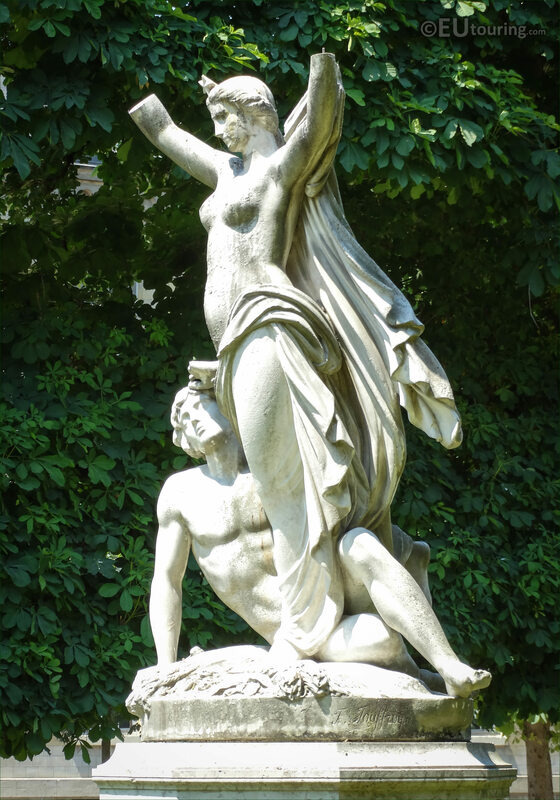 Now this l'Aurore statue was produced by Francois Jouffroy who was born in Dijon on 1st February 1806, and entered a drawing school in his home town, yet it was thanks to a grant from his local council, that he managed to go to Paris and get admitted into the Ecole des Beaux Arts in 1824. 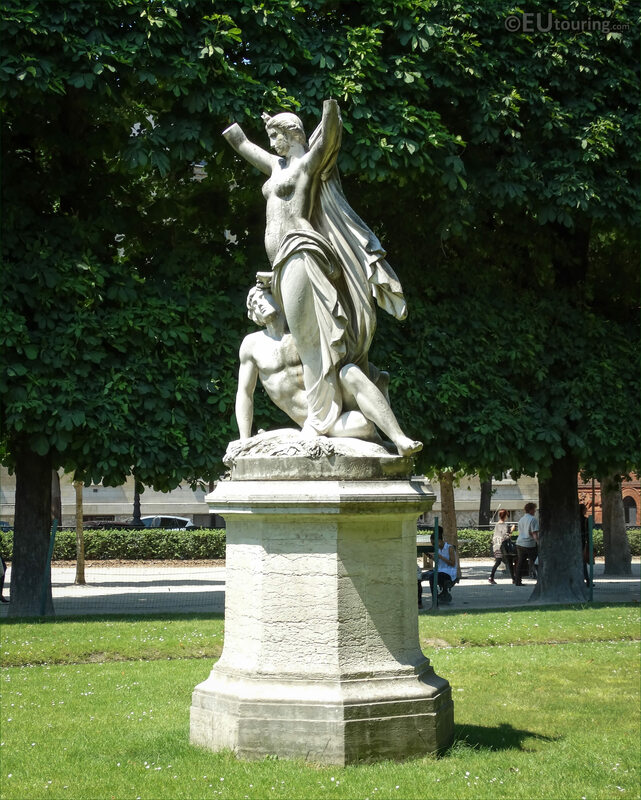 And having won the Prix de Rome in 1832 and then presenting works at different Paris Salons, Francois Joeffrey becomes well known and a very sought after French sculptor, who was commissioned for several different statues to adorn the Palais du Louvre, the Palais de Justice and many more such as busts for the Chateau de Versailles. He produced this statue of The Dawn you can see here back in 1867, and still continued his career with his last major work depicting Saint Bernard being completed in 1877, which was originally purchased for The Pantheon but moved to the cathedral in Arras, and this was five years before Francois Jouffrey passed away in 1882. 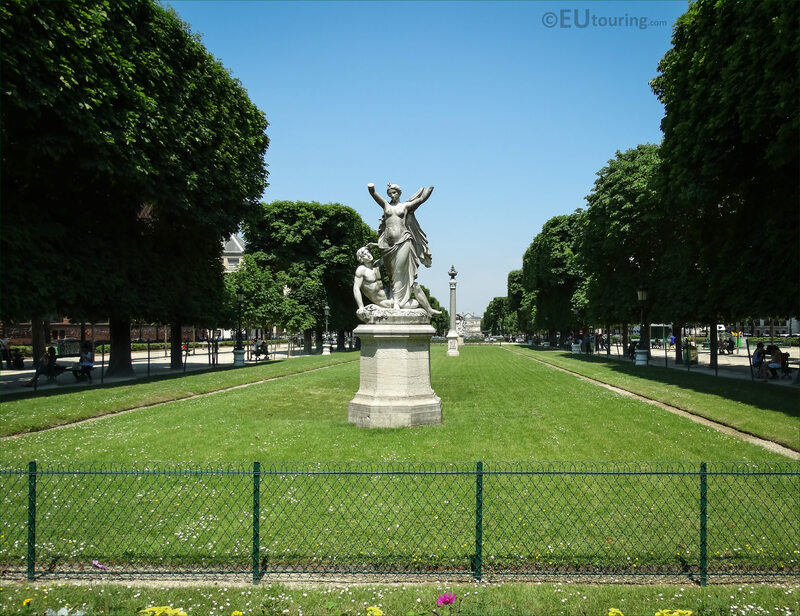 But this last image provides you with a perspective as to where the statue is located, which as we mentioned earlier, is within the Jardin Marco Polo, and we took this HD photo as we were looking towards the Palais du Luxembourg, which you can just about make out in the distance.